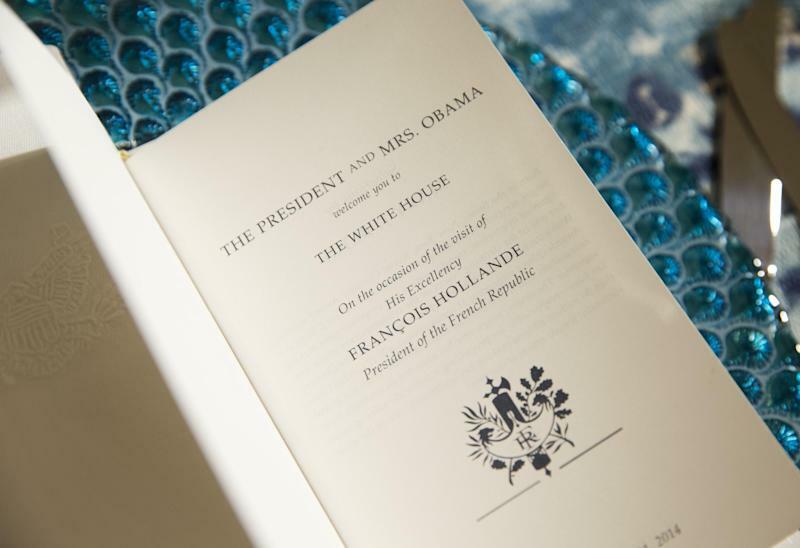 WASHINGTON (AP) — A slab of dry-aged rib eye beef, American caviar and salad representing the first lady's garden will be on the four-course menu for the elegant state dinner the White House is throwing Tuesday for French President Francois Hollande. 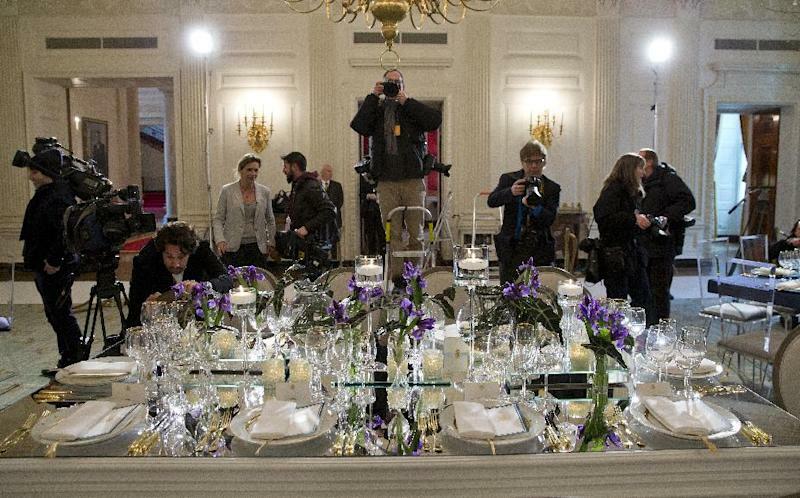 It's the first such soiree of President Barack Obama's second term. The wine list is strictly American, with selections from California, Washington state and Virginia. So is the entertainment. Mary J. Blige, a nine-time Grammy award-winning singer-songwriter, producer and actress born in the Bronx, N.Y., will perform for some 350 guests who will be seated at a modern-looking mix of square and oblong tables inside a huge white tent on the South Lawn. Guests will first enter the White House and wait in a receiving line to be greeted inside the Blue Room by Obama and first lady Michelle Obama. Then they will exit and board an old-fashioned trolley for a ride down to the tent for dinner and Blige's performance. 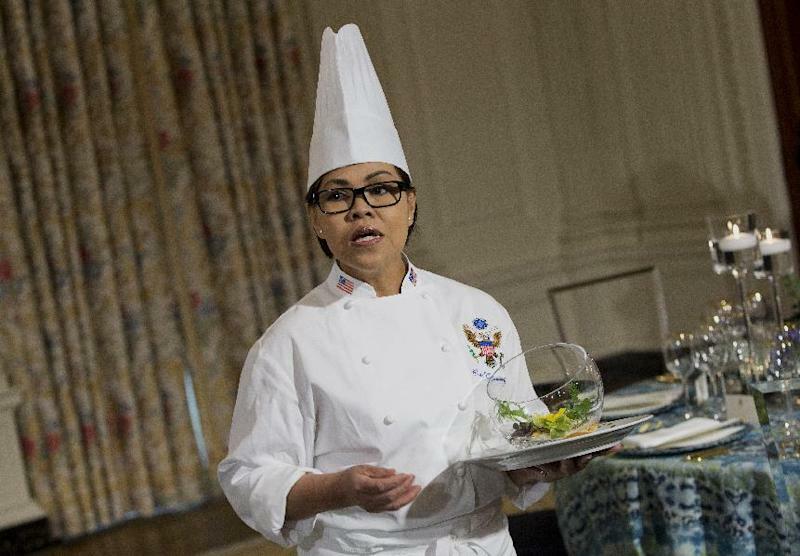 The first course will feature American Osetra Caviar, farmed from the estuaries of Illinois, and paired with quail eggs from Pennsylvania and a dozen varieties of potatoes from farms in New York, Idaho and California. That will be followed by a salad of petite radishes and baby carrots on a bed of merlot lettuce and splashed with red-wine vinaigrette. It will be served in a clear, glass bowl and resemble a terrarium. The main course, dry-aged rib eye beef from a farm in Greeley, Colo., will be paired with blue cheese, charred shallots, oyster mushrooms and braised chard.